iTouchVision is a cloud and mobile software company, specialising in government and B2B platforms. 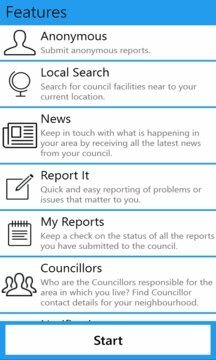 iTouchVision created My Council Services to allow government organisations to better serve their citizens and provide true channel shift, reducing administration costs allowing more funds to provide higher quality front line services. My Council Services is a part of a suite of products. Using this app you can provide your invaluable opinion and enhancement request. Making iTouchVision the most trusted & complete cloud CRM and mobile solution on the market.